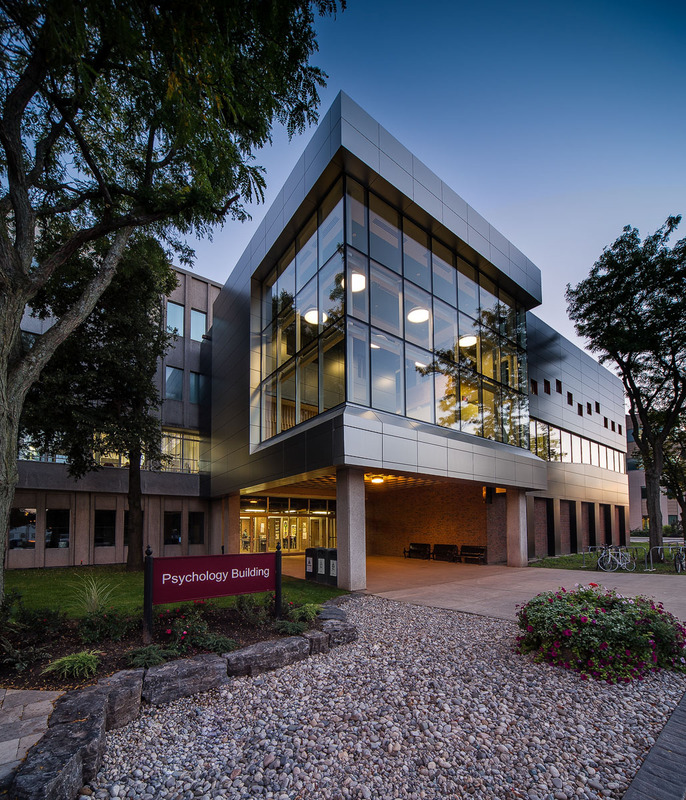 Around the world, scientists, researchers and musicians have taken note of what is happening within the 2013 addition and renovation to the Psychology Building at McMaster University. Within the LIVElab at the McMaster Institute for Music and the Mind, audience members and performers connect to sensory receptors. This specialized system measures the brain’s reaction to the sound of music and dance. It is one-of-a-kind research, and largest virtual environment in the world. As a result, we are learning more about how music’s role in our health, emotions, language, cognitive and social abilities. The research is made possible by its surroundings, a highly specialized design and the result of a unique collaboration between researchers, engineers and architects. Together, our inventive team developed a truly special and integrated design. It seamlessly incorporates the lab requirements with innovative, high performing building systems. A beautifully designed space, it mixes art and science with high precision. Successfully develop a fully integrated, highly technical space that seamlessly supports one-of-a-kind research on the impact of music’s impact on our health, emotions, language, cognitive and social abilities. Creatively overcame structural, engineering and mechanical issues in the delivery of a high-performance structure that beautifully balances art and science. Provided timely, financially responsible, unique, and constructable design solutions within tight time-frames and complex scheduling.